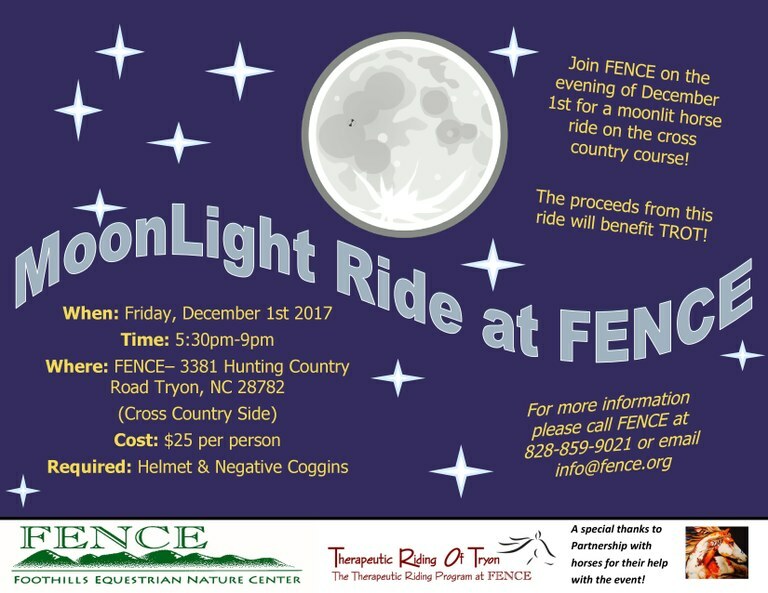 Come and join us for a great night of riding under the moon and stars! A full moon and glow sticks will lite up the pathway on the cross country course. This is an event that will benefit FENCE's therapeutic riding program with scholarships, equipment needed, and much more. See the attached flier for more information.